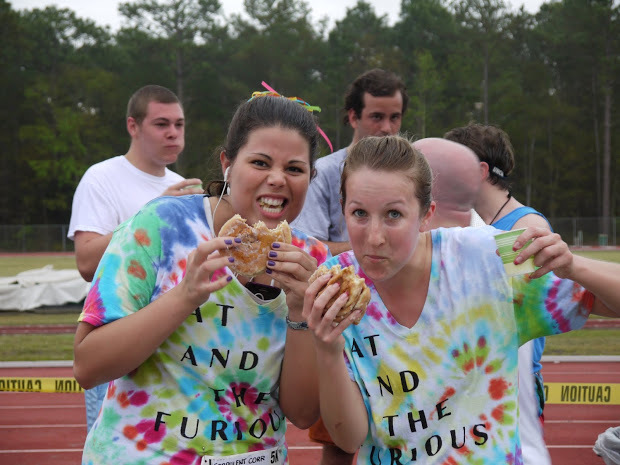 Donut Dash 5K – April 25, 2013 | NC Race Timing and Running Events | Go Time! 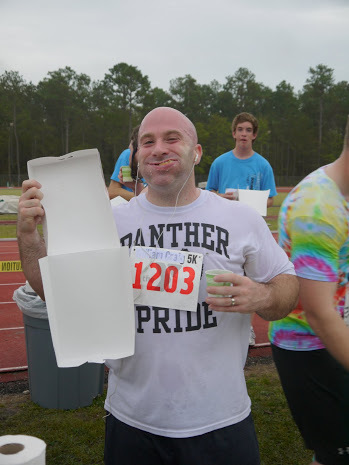 Run the 5K without eating the donuts. 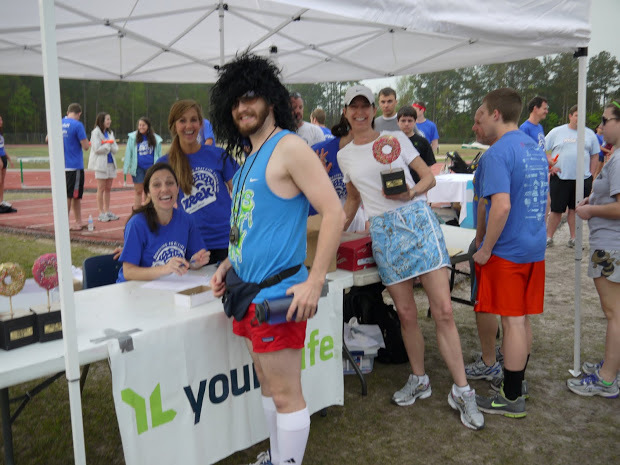 Join us for the second Wilmington Donut Dash presented by Young Life. This is an exciting event for serious runners, doughnut lovers and those looking to have a good time. Proceeds from the Donut Dash assist Young Life with programs that teaches young adults to become leaders by working with low income children. For the Donut Lover: Run 1.5 miles, eat half a dozen glazed donuts, then run 1.5 miles back to the Finish Line. Awards include Overall and Age Group Winners. For the Dieter: Run or Walk 1 lap around the track, eat 1 donut, then go around the track one more time to the Finish Line. Awards will not be presented to the For the Dieter category. 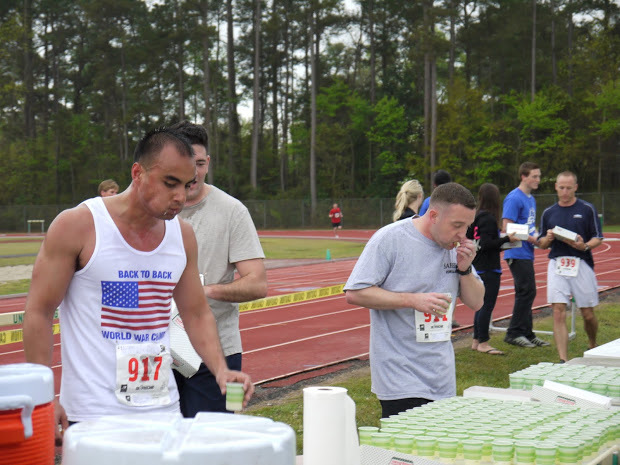 For the Non-Donut Eater: Run the 5K without eating the donuts. Awards will be presented to Overall Top 3 Males and Females. For Spectators: This is a great race to watch all the action. The Start, Donut Eating, and Finish all take place in one location. 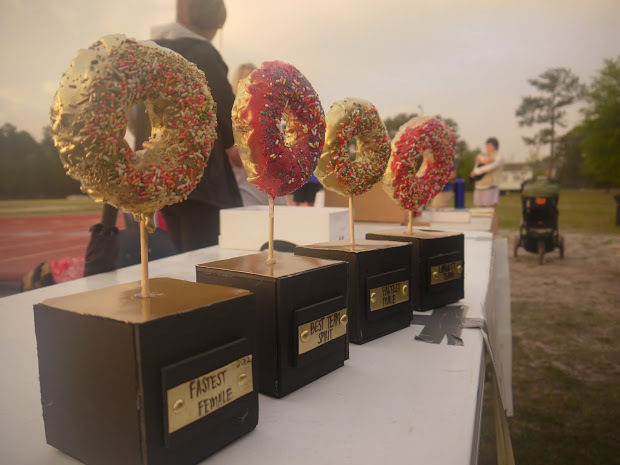 Be there to cheer on your favorite runner as they eat half a dozen donuts. Race Shirts are guaranteed to those participants who register by March 20. After the cut-off date, shirts will be distributed on a first come first serve basis.